The median home value in Skaneateles, NY is $300,000 This is higher than the county median home value of $128,100. The national median home value is $185,800. The average price of homes sold in , is $. Approximately 58.95% of Skaneateles homes are owned, compared to 11.41% rented, while 29.65% are vacant. Skaneateles real estate listings include condos, townhomes, and single family homes for sale. . Commercial properties are also available. 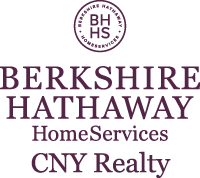 If you see a property Skaneateles real estate agent to arrange a tour today ! Breathtaking views of Skaneateles Lake in the Skaneateles School District! This classically updated and impeccability maintained cape boasts hardwood floors throughout, granite counter tops, updated appliances, newly renovated master bathroom and attached garage. A private, partially fenced back yard with large patio, deck and fire pit provide a great area for entertaining. Full basement for additional storage, laundry and workshop. Enjoy all seasons in this year round 3 Bedroom Ranch offering 3 baths with a full walk up attic and a finished lower level. The roof, siding, windows, kitchen & baths were remodeled 9 years ago. The long driveway and two car garage offer plenty of parking for family and friends. Best of all it is located on the East side of the Lake only 3 miles to the Village with only a few steps to the lake. Stunning Skaneateles Lake views and 40 feet of PRIVATE lake frontage from this lovely home. Escape to this peaceful retreat and enjoy your time on the spacious deck overlooking the water. The lake house has a modern, open concept floor plan with a wall of windows to let in light. The house has four bedrooms and two full baths with laundry on the first floor. There is a bunk house on the property with four bunks for additional sleeping space. Insulated walls and ceilings as well as a propane heater allow this property to be enjoyed in the spring, summer and fall. Don't miss this wonderful opportunity! Beautifully renovated 3bd 2ba home with Skaneateles lakeview and 150' of gorgeous shared lake rights with picnic area, beach, dock, kayak racks, boat launch and much more. The home features an open kitchen family room area with granite counters, ss appliances and two level island, living room with fireplace, lakeview, gleaming hardwoods, new full baths, private screened in porch and concrete patio to spacious backyard. Lastly, lower level is perfect for guests with separate entrance, full bath and bedroom. Newer mechanicals, windows, siding and roof. Make this home yours today. Enjoy serene sunsets at this one-of-a-kind Skaneateles lakefront home! The beautiful landscaped lot slopes gently to its private 90â of lakefront. The great room & kitchen open to a lakeside deck (w/retractable awning)â”a perfect spot to relax & enjoy the view! Massive ceiling beams, slate floors, a unique antler chandelier, & a FP (converted to gas) all create a feeling of warmth & welcome. The eat-in kitchen has another gas FP, stainless appliances, & sliders to the lakeside deck. The family room (former art studio) off the kitchen has a painted concrete floor, a 3rd FP (wood burning), & a spiral staircase leading to a bonus room. A 1st floor full bath also contains the laundry. The second floor has a fabulous newer Master Bedroom suite & 2 other bedroomsâ”1 w/walk-in cedar closet. Pretty farmhouse in need of restoration overlooks the west side of Skaneateles Lake just 3 miles from the village. Some of the original intact features include decorative molding, double parlor, front and back staircases, upstairs sleeping porch, wood burning fireplace and a covered back porch. Property also features 50' of ROW access to Skaneateles Lake, detached 2-car garage & barn. RARE FIND! Home is situated on a Flat Lot on the East side of Skaneateles Lake, about 25 feet to the water from the rear door. This home was completely renovated to brand new in 2011. The first floor offers Brazilian hardwoods and an open floor plan with sliding doors to the large porch overlooking the Lake. The fully equipped kitchen provides new stainless steel appliances, breakfast bar, corian counters, and cherry cabinets. The first floor master suite is perfect for someone looking for ranch style living. A laundry room and half bath complete the lower level. Upstairs you will find 4 more bedrooms and full bath. The true gem of this property is its water frontage - 60 feet of level ground to play. Enjoy camp fires in the brick fire pit, sit under the willow tree on the deck that is perched over the Lake or relax on the porch and enjoy the spectacular sunsets. A boat hoist and dock complete the package. Don't miss this one! Absolutely magical lakeviews! This 7+ acre property seamlessly blends warmth, character and modern living. Previously operated as a Bed & Breakfast, the 1st floor features a Greatroom with antique reclaimed beech floors, a grand fireplace, cathedral & coffered ceilings, open kitchen & pantry room, a grand master suite, 2 level decking, a laundry/craft room. The lower level boasts 3 bedrooms each with its own bath, a family room & french doors to the patio. Above the 3 car garage is a finished bonus area (an additional 420 square feet), perfect for an office or in-law suite potential that is plumbed for a bath. The barn has been restored w/newer windows, siding & roof. This is a unique & special property. Refreshed and spacious. Welcome to 2880 Shamrock Road, this beautiful farmhouse offers 4 bedrooms and 2 full baths nestled on almost 4 acres. Enjoy easy entertaining in the country kitchen open to the family room with an oversize wood burning fireplace, beautiful rustic beams, and a picture window overlooking the private backyard. The functional kitchen has recently been updated with granite counter tops, new back splash, sink, gas cook top, light fixtures and paint. Optional master bedroom on both first and second floor, second floor master is 22X25ft with a lovely wood burning fire place. Doors from the family room lead to a new deck overlooking the in ground swimming pool, fruit trees and countryside. Completely turn key ready, in Skaneateles Schools, less than 5 miles to the village. Skaneateles grand village level waterfront estate with exceptional detail and quality nestled on 3 acres, offers 6 bedrooms, 5.2 baths in main house along with 5 fireplaces. Master wing offers an oasis with his & her baths & closets along with a fireplace and private deck with panoramic views of the lake. Entertain your guests in your custom dinning room or enjoy the large family room kitchen combination, LR or private large office plus open porch to sit and visit. A unique custom carriage house built in 2008 for family and business offers a media room, meeting/family room with full kitchen, exercise room, wine cellar, 3 fireplaces, 2 baths with loft bedroom, tennis court and large garage. Enjoy walking to village center activities. This grand home cannot be duplicated for this price! Expansive 1894 Skaneateles farmhouse, adjacent to a golf course and stream! Quiet rural setting, yet minutes from Village amenities. Tasteful updates kept pace with contemporary lifestyle needs, while preserving vintage charm such as the wraparound porch, veranda, and ceiling wainscoting throughout much of the home. The main farmhouse offers four large bedrooms, a den, finished attic loft, large eat-in kitchen, and formal dining room. Impressive high-quality 1993 addition added a spacious, open-concept apartment with a separate entrance. Guests/extended family will appreciate two large bedrooms, two full baths, and a walk-in closet. Up to six more adjacent acres are available if the buyer desires. Seller will consider holding short-term note for a qualified buyer. Welcome Home! This Skaneateles Gem has been loved and upgraded and is ready for a new owner to enjoy. With a double wide lot just under 9 acres, a large area of which is fully fenced, and a heated fiberglass inground pool you are all set for Spring weather to roll around. The main floor is open concept having a newly redone kitchen with granite countertops and stainless Samsung appliances. There is also a new barnwood accent wall in the main family room. The first floor laundry and half bath are off of the kitchen. The second floor boasts four large bedrooms including a large master suite. Walking distance to everything that happens in the Village of Skaneateles, the YMCA, and Skaneateles School District. This home has so much to offer and is ready for a new owner to move right in! Don't miss this crisp, clean, updated offering. Imagine the perfect ranch nestled in fruit trees with total privacy. Features an in ground pool, two brick full wall fireplaces, three full, spacious, baths. Potential for a sprawling in-law apartment. Deeded 100 feet of pristine Skaneateles lake rights with stunning views. An oversized two car garage with electric door openers welcomes you to one floor living at its finest. Enjoy the great floor plan with kitchen family room combo, formal living and dining room, den/office with access to a rear deck. This true ranch nestled in trees on three acres provides a quality lifestyle. What a setting! This fine Village home is nestled in nice privacy on an amazing lot with 450 feet of Skaneateles Creek water frontage. The large historical carriage house still has horse stalls. A new furnace, updated electrical, fine sun room addition, and new roof on carriage house are only a few of the updates. Also features a large open front porch and new rear deck. Village living at its best! Bright and spacious contemporary with stunning Skaneateles Lake views, lake access and a private boat mooring. The property features a relaxing and very private in-ground pool complete with a 3 year old liner and heating system, perfect for soaking in the summer sun after a day boating on the lake. The pool is surrounded by a paver patio, three levels of decking overlooking the pool to enjoy and entertain outside, as well as gorgeous mature perennial gardens. Only 4 miles from the center of the Village of Skaneateles, this home is also within walking distance of the award winning winery, Anyelas, which hosts a variety of Skaneateles Festival concerts as well as other live music. The house has been loved by a family but also has been successfully rented as a fantastic year-round short-term vacation location. Spacious 4 BR, 2.5 Bath Ranch in beautiful Skaneateles on private road w/ Lake Rights! Pretty flagstone patio & open, airy entry welcome you into this very unique home! Split BRs - Master on one end, 3 BRs & full bath on the other end - perfect for in-law/extended family! Master suite includes huge bath w/ make-up vanity, sunken tub, & separate shower - also connects to the den/library, originally built as the Master sitting area! You will LOVE the cathedral beamed Greatroom w/ floor-to-ceiling, stone, double-sided fireplace! Gorgeous new hardwoods installed in 2016! Dine with a great view of this lovely treed property (can even see a little of the Lake!) from formal dining or large deck! New steel roof, gutters, windows, steps, sidewalk, retaining wall - all within last 5 years! This beautifully restored farm house on over 3.5 acres offers the perfect blend of original classic features and brand new amenities. The property has a peaceful brook and a fabulous barn large enough for cars, boats, equipment and workshop space. Conveniently located across from the public boat launch and 2 miles from the iconic village of Skaneateles. Inside, this home has been remodeled from top to bottom. Enter the large mudroom with lockers, 2 family rooms, and original stone and brick fireplace. The first floor offers a brand new kitchen with large eat in area, gathering room or formal dining room and a first floor laundry center. Four bedrooms upstairs and a new full bath. The master has its own staircase, a brick fireplace, sitting room, and French doors to its own private deck. Very special home and property! Location, Privacy, Space, and Lifestyle. This modern farmhouse house has everything you could ask for, all within Skaneateles schools. From the timeless black and white tile foyer and kitchen, to the open concept living room...the flow of this house is second to none. Upstairs there are 4 bedrooms, and 2 bathrooms to accommodate the entire family. Downstairs the spacious flow, coupled with hardwoods and a charming mudroom and 1/2 bath, make it the central living floor. Add in the incredible wrap-around porch, possibilities for the walk-out basement and attic space, and you really have a rare opportunity to combine the feel, size, and modern amenities this lovely family home have to offer. All of this just 2 miles from the center of the Skaneateles Village. Beautiful year round home steps away from the shared lake access with water views. This home offers open floor plan with hardwoods, abundance of windows to showcase the beautiful lake views, new kitchen with granite counters, tiled back splash, gas fireplace, first floor master bedroom with bath, Walk out lower level with two bedrooms, full bath, family room, and laundry. Oversize wrap around composite deck with lake views and brick patio off the sliders in the walkout lower level. The property offers a boat mooring at the lake access. Courtesy: Howard Hanna Real Estate Thomas K Elleman Jr. Solid home just a few miles from Skaneateles Village. Good interior space and room sizes. Spacious kitchen opens to a bright and sunny dining area. Three bedrooms and one full bath. Oversized one car garage and newer 26 x 33 barn. Great for storage or workshop. Large private lot. This home is nicely located - close to the village and yet has a country feel. Welcoming foyer opens to spacious living/dining area featuring hardwood floors, high ceilings and fireplace with wood burning stove insert. Large eat-in kitchen overlooks the private backyard. Two large 1st floor bedrooms (one could be a home office, den or playroom). Very large full bath on first floor. Upstairs are two large bedrooms, full bath and ample storage areas. The walkout basement is partially finished providing more living space and features a fireplace and workshop area. This home is in the award-winning Skaneateles School District. Three bedroom home nestled in a nice neighborhood walking distance to the village and shops. This home offers an inviting open floor plan with hardwoods, updated kitchen, and baths, wood burning fireplace, ample sized bedrooms, tiled mudroom, partial finished basement, central air, fenced in yard with deck and patio. Expect to be Impressed! This is a Year Round Home! Inviting Custom built Ranch with 2357 sq ft of open floor plan. Amazingly large with 3 bedrooms, 3 full bathrooms. Geothermal Heat and Water. Spectacular views of Skaneateles Lakes offered by a full wall of windows. Tranquility abounds in this peaceful country setting, yet a close 9 miles to the beautiful Village of Skaneateles. Amenities and summer fun on the Lake await you and your family. This is a MUST SEE home, please make your private showing today!